Multiple X-Games and Red Bull X-Fighters champion Nate Adams has firmly established himself as one of the most successful FMX riders of all time. The Californian is known for his impeccable bike skills, killer tricks and smooth style. All this makes Nate a pretty solid test pilot for sending the Alta Redshift MX bike off Freestyle Motocross ramps. We caught up with Nate after his first practice session on the all-electric machine to hear his first impressions of what the Redshift is like for FMX and what the future holds for Alta in the world of FMX. Loko Mag: What’s up Nate. Thanks for taking the time out to talk to us. How are you doing today? Nate: Yooooo, too easy! Doing good, thanks. With strong results in Red Bull Straight Rythym and some awesome viral freeride videos appearing on the internet, the Alta Redshift motocross bikes are really starting to turn some heads. 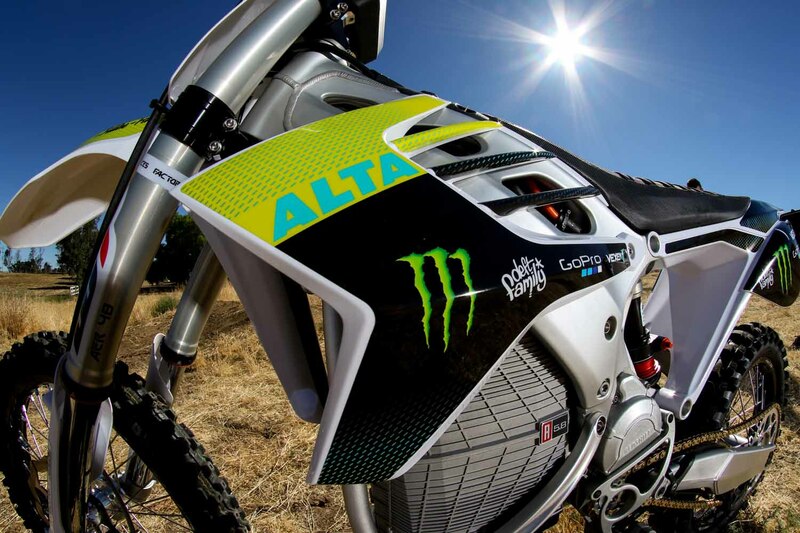 When did you first take notice of the Alta bike? Oh yea, they are starting to actually be on the same platform as the conventional bikes and we are seeing the results. Pretty sweet! 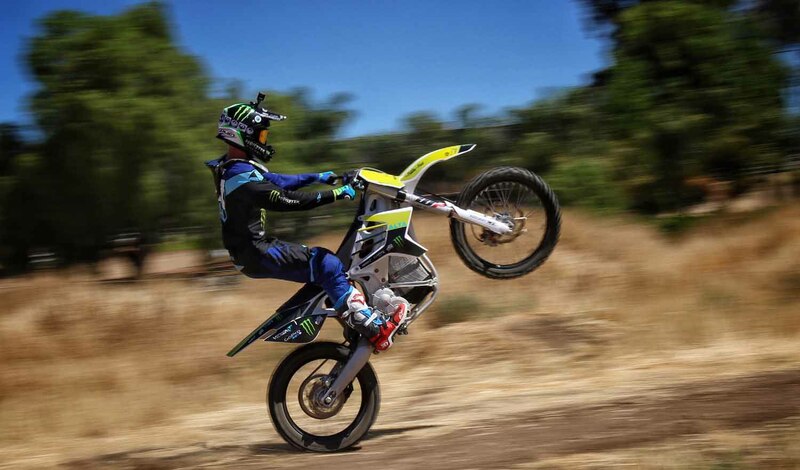 I first saw an Alta Motors Redshift about a year, maybe year and a half ago… At first I thought they looked cool and didn’t think much else until I started seeing videos online of guys ripping them on MX tracks and things like that. Then, I got to ride one, and I was absolutely impressed! I had no idea what to expect, but after a few minutes of riding it I felt adjusted and started jumping and riding it like it was my normal bike. Yea haha, its been fun to put it plainly. My first day on the Redshift I took it easy at first. Like I said, I didn’t know what to expect, so I decided to take my time with things and let it happen as I felt comfortable. 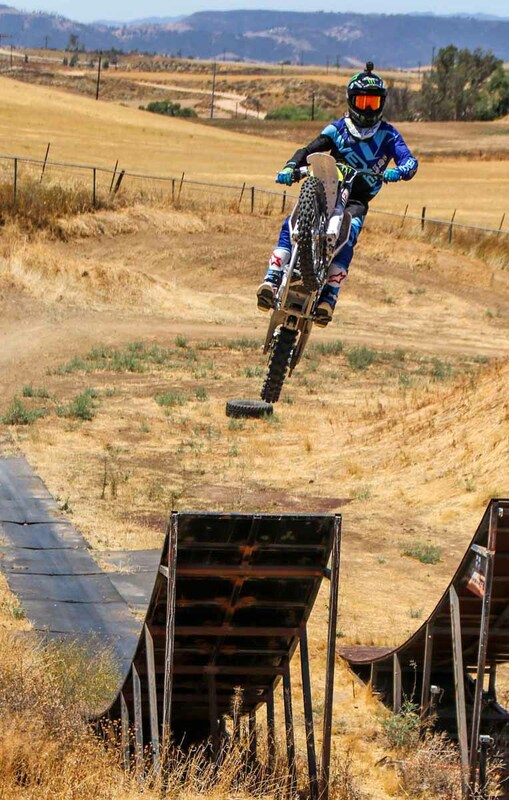 After a few minutes I felt comfortable enough to start jumping through the Supercross sections ( I was riding at my friend Ronnie Faisst’s property where he has a SX track and a few FMX ramps), then I started hitting the woops and linking all the sections together. Haha, I kinda couldn’t believe how good the bike worked and how quickly I felt comfortable on it. From there, I doubled the main triple jump on the SX track about 10 times haha just to get the feel and make sure I had my timing right… I would have hated to case that thing and ruin Alta Motors’ bike they loaned me for a test ride, LOL. I jumped the triple, timing it spot on. That moment change my mindset and I was absolutely trusting the bike from that moment on. Not long after that I was jumping the FMX ramp. I timed my first jump perfect as well. It didn’t take me long to feel comfortable and start trusting the bike. After that, I really started riding it like it was MY BIKE. My only bike… It actually felt weird the following day when I went back to my normal 450, haha. With no gears or sound, was it difficult to find the right speed and keep it consistent on the ramp? I wouldn’t say it was difficult, but it was different, obviously. We riders are used to gears and motor sound so there is obviously a difference. Now that I think back on it that was probably my biggest concern about the bike. I’ve always used speed, the sound of my motor and knowing what gear I was in to judge a jump for the first time. Obviously with an electric bike it is much different. But, I don’t want to paint a bad picture here at all by any means! But, that’s why I said at the start of my first day on the bike I had already decided to take my time and let things come as I felt comfortable. I didn’t know what to expect! But after a short time on the bike I learned to trust it like it was my normal bike and let go of the little doubts. 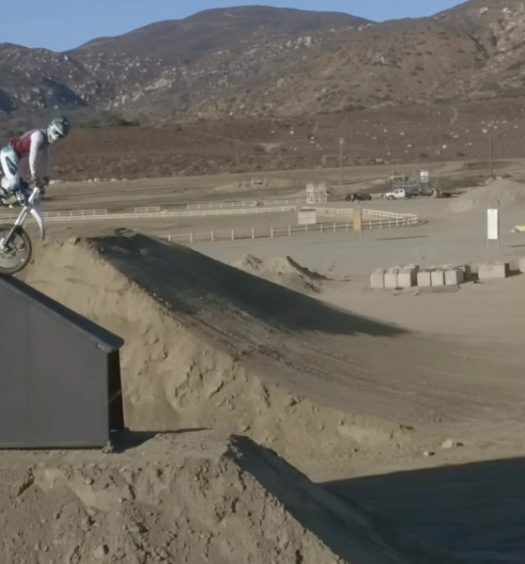 Let me also make clear that the place I was riding at (Ronnie Faisst’s property…not sure why I chose to ride there for my first time on the bike haha) doesn’t have any small jumps…When you decide youre jumping a jump it is at a bare minmum doubling through a SX track. After that I had my choice to triple rhythm sections, triple the main triple on the track or hit the 78 foot long FMX jumps…So I wanted to be sure I was sure! Haha. It didn’t take long though. I started feeling comfortable quickly and was riding normally in no time. How did it compare weight-wise to a gas bike? Could you move it around in the air easily? It feels just like my Honda 450 when comapring weight. It cornered just like a conventional bike, jumped just like one on normal sized jumps, alll that. Once I started hitting the FMX ramps and having a bit of time in the air I could feel the difference. The Redshift feels light, definitely lighter than a conventional bike. But after throwing a few whips I could tell that once I flicked the bike past a certain point it would feel more like a mountain bike in the air. Not a bad thing at all. But since I have been used to how a motor with moving parts in it makes a bike feel when its sideways in the air, I could see that this will also take some adjusting. So, sticking true to my game plan that day, I took my time and just kept play riding on the ramps. I didn’t throw any massive tricks that day, but I was absolutely stoked on how my first day on the bike went. First of all I learned that it is legit. I learned I could trust my timing on the bike when judging jumps and when considering how much throttle to aproach a jump with and how much to give on the face of a take off ramp, all that stuff. How do you think the bike will cope with front and backflip rotations in the future? I think it will do just fine! Like I’ve been saying, it will be different! But that’s obvious. It will probably take me a little bit of time to get used to rotations, body positioning for tricks, all that type stuff. But I’m sure it’ll be firing in no time. Another thing I noticed on my first day on the bike was how much the throttle affected the bike while in the air. Its awesome! I’d say it lifts the front end of the bike twice as well as a conventional bike! If you catch a funky kick on a take-off lip that kicks your rear-end up there is no need to panic. Give ‘er some throttle and the rotation of that rear wheel will bring the front end right up. Think about it, theres no gears in the Redshift. Its like you are always in 5th gear and there is never a bog, delay or lag in power…When you panic rev in the air and that rear wheel can spin as absolutely fast as that bike can make it go, your front end will come up! I was very happy with this added bonus haha. Ive gone over the bars a few times. With no air filter it looks like the Redshift MX pretty much already has grab holes built-in. Do you think the bike will be easy enough to modify and customize for FMX? Yea! The Redshift sort of has grab holes already built in! That’s another thing I was stoked to see on it. It looks easy enough to modify. I cant wait to get started. I actually just got my own Redshift about 2 weeks ago after talking with Alta for sometime. When I’ve ridden the Redshift in the past that was actually Alta’s bike! They were incredibly genreous to loan me their bike to “test” FMX on haha. They even had supercross suspension put on it for my exact weight. They made it as easy as possible for me to ride the bike and do what I do on it. So, anyway, I should have my suspension back from Enzo Racing in the next 2 days. Im bolting that stuff straight on and getting after it! Did it freak you out having a digital display where the bar pad usually is at all? Haha, no not at all! It’s super basic and simple to use. Once you start riding you forget its any different. No distraction whatsoever. What’s the crew at Alta like to work with? They are great. Like I said a moment ago, they loaned me a bike, had SX suspension already on it. They are just super easy and fun to work with. You can really tell they love their product and are passionate about it. Its very cool, and contagious to be a part of. 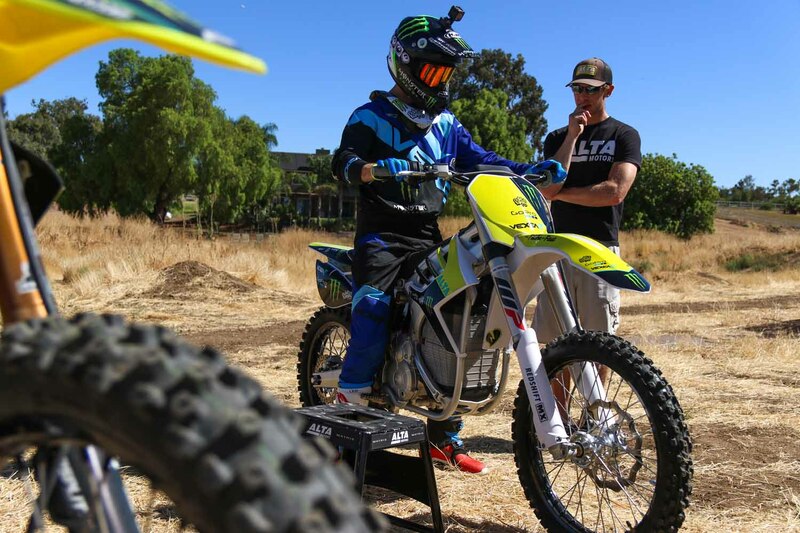 How do you see the electric bike revolution changing moto and FMX in the future? Im not exactly sure but I know it is going to be huge. I can see so many different applications for an electric dirtbike / motorcycle. From guys like me, to a person who lives in the city and uses a motorcycle for transportation, trail / enduro riders and especiially those who do so near houses or businesses. Even something as small as changing a front brake…I did this about a month ago on my 450 and when I finished it was about 10pm. I live in a tract neighborhood in southern california so the option of firing up my 450 for a test ride is out of the question. But, if id had my Redshift it would have been too easy to turn it on and take for a short test down my street to make sure all was good. It’s a ‘green’ machine meaning it is basically emissions free. Or maybe entirely free..? Also, its absolutely great for a rider who wants to have a few different bikes. He wants a 125 to rip wide open on tracks, a 250f to practice on and a 450f to race…The Redshift can have multiple maps programmed onto it for different performaces. So you can essentially have multiple power maps, or ‘bikes’, programmed onto your Redshift which you can toggle through easily on the display…even while riding! Pretty sick. For FMX we will be able to do shows and competitions in places where exhaust and fumes kept us out of. Indoor venues where ventilation is an issue… all that will change. Like I said, I’m not sure how exactly it will change the moto and FMX scenes but I know it will be huge. I probably didn’t cover half of it haha. What’s next for you and the Alta bike? Will it ever become your main ride do you think? That’s the plan! To make it my main bike. What’s next for me is bolting on my suspension when I get it in the next couple days and having at it! Really, I can’t wait to start riding this bike full time. 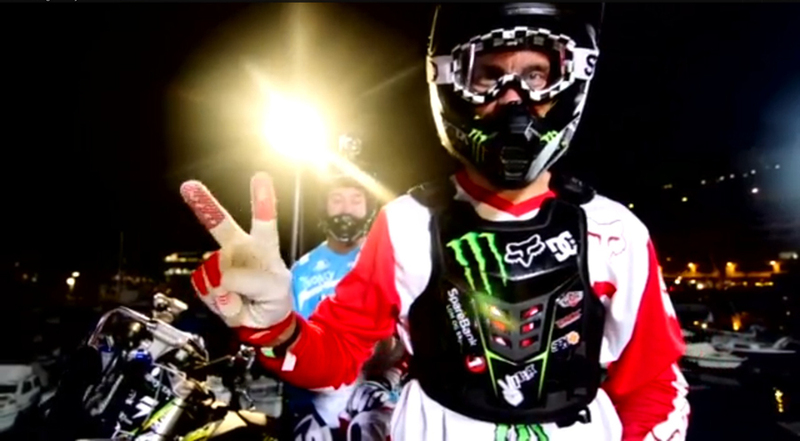 Are we going to be seeing the Redshift at X Games / X-Fighters or Nitro Circus any time soon? 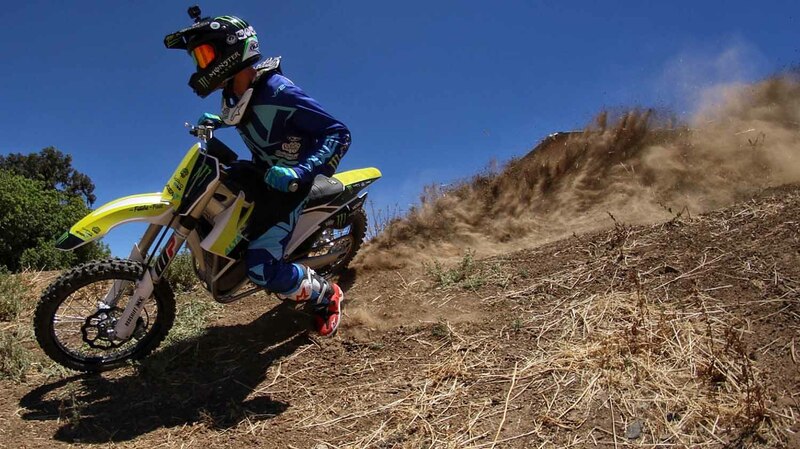 What do you think of the electric revolution outside motocross? Are you a Tesla and Elon Musk fan? I heard if you put the model S in ‘Ludicrous’ mode they are faster than a V12 Mustang! Honeslty, my Reshift is the first electrric vehicle ive ever owned! I havent gotten much into the elctric car scene, but I have 2 friends with Tesla cars and they love them! I think electric vehicles are here to stay obviously, and the motorposrts side is just starting to take off. Thanks for your time man, All the best for the future. Thank you guys, much appreciated. 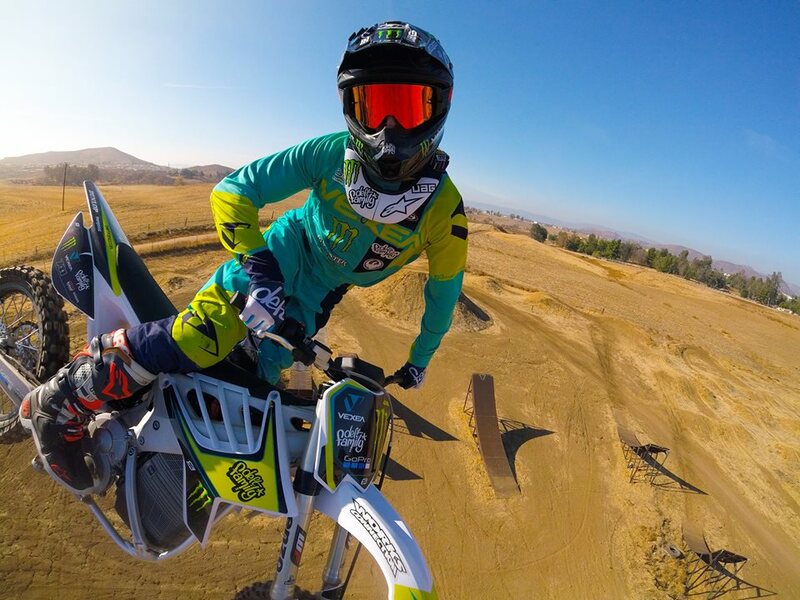 Keep up with me and what I’m doing on my Alta Redshift, follow me on Instagram, Facebook and Twitter – @NateAdams741 , and check out Alta Motors at @AltaMotors .